Sonam Kapoor is currently soaking in the success of her latest film Veere Di Wedding in London with her sister Rhea Kapoor and Kareena Kapoor Khan. The actor turns 33 today, and on her special day, her husband and businessman Anand Ahuja has a really special wish for her. Ahuja took to Instagram to share an unseen photo of his wife and wrote an adorable caption that read, The look when @sonamkapoor sees her birthday. That’s just my way of downplaying just how breathtaking this picture is! 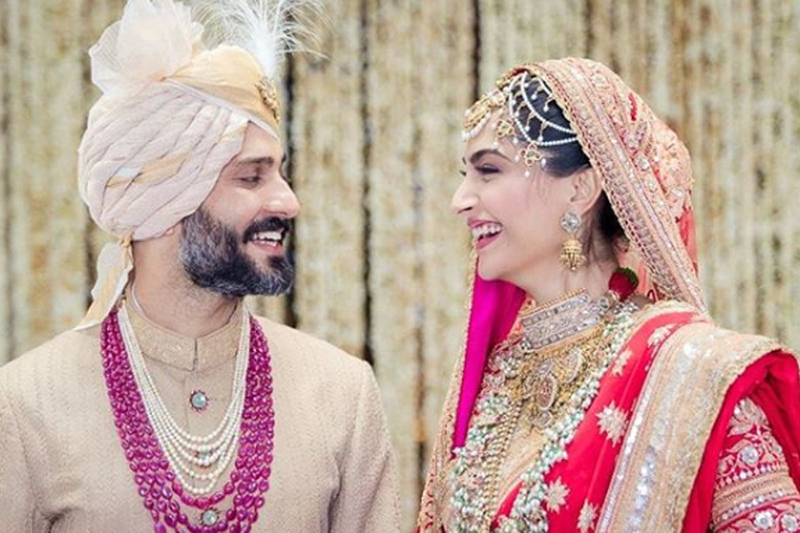 Sonam tied the knot with her long-term boyfriend in May and the couple's wedding photos sent the actor's fans and industry people into a frenzy. Post her big life decision, Sonam went on to walk the red carpet at Cannes Film Festival and later returned to promote her film Veere Di Wedding. This year Sonam plans to celebrate her birthday with her sister in London and Anand is also expected to join the celebrations. In an interview to DNA, Sonam had said, "I’m going to be in London for work. So, Anand (Ahuja) is coming with me. My sister Rhea (Kapoor) will join us, too. It’s going to be a small celebration - we will go out for lunch, dinner, and chill."